I can’t remember the last time I read a book in a single sitting; nor can I ever remember willingly reading a bound A4 manuscript, particularly when travelling, and having to transport said manuscript from London to Antigua, to Lake Atitlan and then back to LA before taking a final flight to Sydney. And yet, having been moved by Poorna’s debut memoir – Chase the Rainbow – I was eager to get a copy of her soon-to-be released follow on, In Search of Silence. 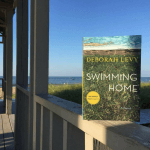 And so after a week spent in San Marcos on a memoir writing retreat, I met my sister at a lake-fronting eco-lodge in nearby Santa Cruz, where I began and finished In Search of Silence one sun-soaked afternoon. The lake was still and shimmered in the light, and the backdrop of San Pedros volcano made my reading of In Search of Silence a particularly memorable one. Ever since first reading Chase the Rainbow – a memoir in which Poorna recounts her husband’s struggles with addiction, depression, and his eventual death – I’ve admired both her writing and her tireless campaigning to help end the silence around men’s mental health, and so, despite having a towering pile of seven books to choose from, I knew I wanted In Search of Silence to be the first one I read. 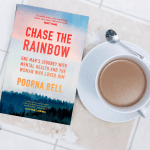 Essentially a memoir about the events that occurred in the wake of her husband’s death, In Search of Silence picks up where Chase the Rainbow left off, and we meet Poorna again at a point in her life where she’s not sure what’s next. And so, like many people, she decides to travel, but rather than to escape her current life, Poorna wants to discover what’s most important to her; what it is she wants from life; whether the pressures she’s under as a woman are bound by the society in which we live, or if they’re simply self-inflicted. She spends time in India – a country she lived in as a child – with her parents. 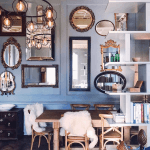 A liberal couple, her mum is small and fearless with curly hair; her dad, a weight-lifter and fitness nut with a penchant for prosecco, and a couple who it is entirely impossible not to adore by the end of the book. Being in India with them, and learning the stories of their meeting, their marriage, the parents that came before them and their lives beyond the facade of simply being a mother and father, strengthens an already profound bond. Next she visits Nepal – a country that will test her physical endurance and altitude sickness, and a place from which she returns ready to fly to New Zealand – the country where her husband, Rob, both lived and died. No doubt a country that is both painful and poignant for Poorna, she spends Christmas with Rob’s family, travels alone around the south island; kayaks through the country’s turbulent waters, suffers a panic attack during which she thinks she will die, and comes face to face with the need to forgive herself for her presumed failures that surround the death of her husband. Rich with achingly beautiful language that transports the reader to the streets of Bangalore, the mountain-topped peaks of Nepal and the long and winding roads of New Zealand, I adored absolutely everything about In Search of Silence. A book that will speak to anyone who has grown tired of London, who has lost, who has loved, who has lamented the loss of a loved one, it is a beautiful, life-affirming read that explores solitude, silence and sadness and is underpinned with hope and happiness for the future. Poorna Bell was sold the fairytale of life. That love wins the day. That marriage is the rescue to an otherwise unhappy existence. That children are the natural progression of any relationship. But really, is it? Are we actually being honest with ourselves about the expectations we have set for ourselves? Are we able to distinguish between what we really need from life, from everything that we have been conditioned to want? Because the current rhetoric doesn’t prepare you for the reality. In 2015 Poorna Bell became a widow after her husband Rob took his own life on a winter’s night, having battled depression and addiction. Her situation was unusual when compared to a lot of people, but she was left figuring out exactly the same things. Will she ever be happy? Will she find love again? Who will rescue her from her sadness? Two years on and Poorna is rebuilding her life. And it is from this place – as she works towards choosing what she does and doesn’t want from society, that she will explore a different conversation around fulfillment and self-worth.Cutting across the landscapes in India, New Zealand and Britain, Poorna Bell explores the things endemic in our society such as sadness and loneliness, to unpick why we seek other people to fix what’s inside of us. In Search of Silence is the recognition of the echo chamber we find ourselves in, in terms of what constitutes a successful, fulfilling life. This is a heartfelt, deeply personal journey which asks us all to define what ‘happiness’ truly means. Poorna Bell is a British author and award-winning journalist. She published her debut non-fiction book Chase The Rainbow, which was a deeply-affecting memoir of her life with her late husband Rob. Matt Haig described it as “candid, warm, sad, surprisingly funny, raw, brave, bittersweet”, and it has been deemed a conversation starter in the world of men’s mental health. It has sought to educate around the realities of mental health, and the taboos that surrounds it; Forbes’ 100 Most Powerful Women, Arianna Huffington, has described it as a book ‘everyone must read’. 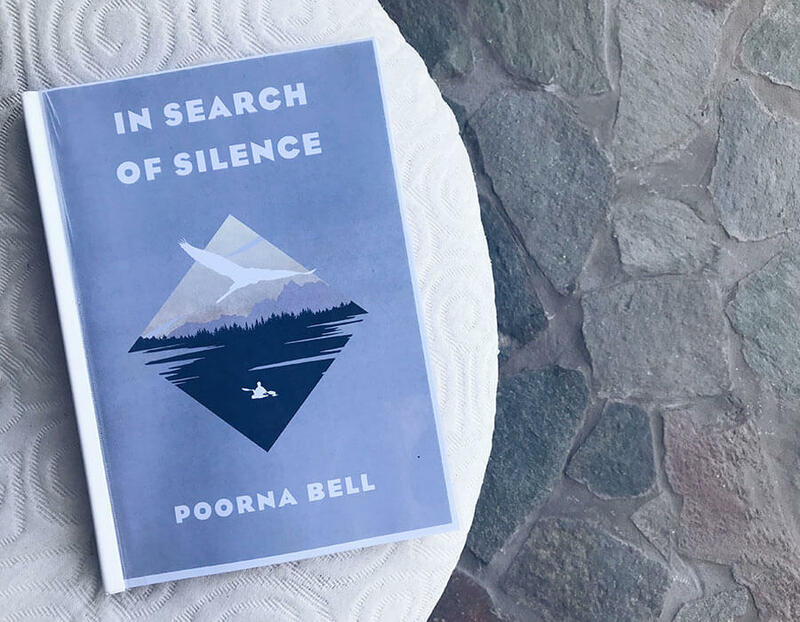 Poorna’s follow-up book In Search Of Silence, seeks to examine what makes a life meaningful, and to unpick some of the expectations we believe are necessary for a happy existence. Like Chase The Rainbow, it weaves in lyrical prose around landscape and travel. Her books and writing have gained praise from the likes of Fearne Cotton, Jameela Jamil, Zoe Ball, Alastair Campbell and Ruby Wax to name a few.